Pierre has spotted a trend recently. The values of 280SE 4.5 and 280SEL 4.5 W108 sedans are on the rise. Mercedes Magazine is in complete agreement. This is something the magazine has been watching for close to two decades. In the late 1990s a very nice condition W108 4.5 could be purchased for around the $10,000 range. At that time it was regularly discussed that the cars were terribly undervalued. Jump forward 10 years later to the late 2000s and the cars dropped during the U.S. recession to the point where very good condition ones could be found for $5,000. Now about 10 years later the market is very strong for these cars as Pierre discusses in his video and sales on Bring-a-Trailer demonstrate. The 280SE 4.5 and SEL 4.5 was the S-Class of its day. 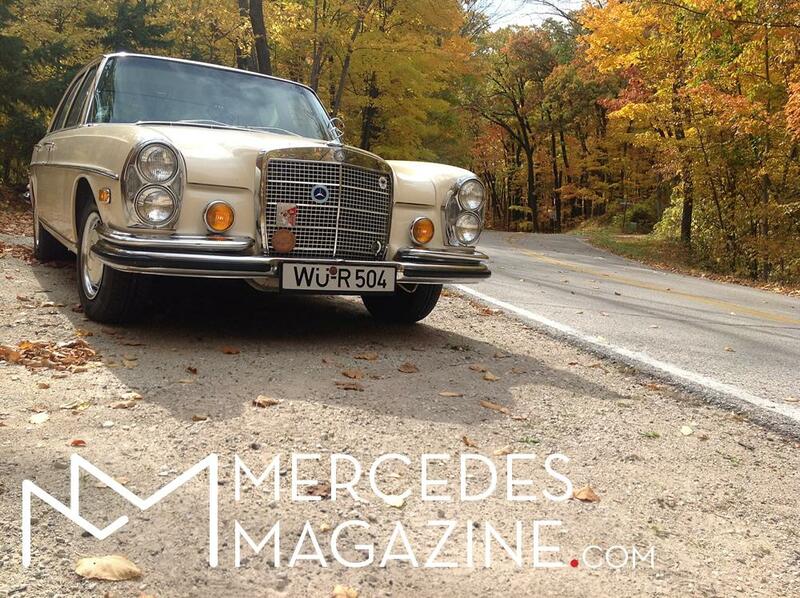 It precedes the S Class nomenclature by one generation with that title first being used on its successor the W116. The 4.5 model was a 4.5 liter V8 M117 engine car that produced approximately 225 hp. The M117 engine was originally produced specifically for the U.S. market and had lower compression than its European compliment the M116 3.5 liter. The M116/M117 series engines were only the second V8 in Mercedes history, the first being the M100 engine first found in the W100 600 series and sister car to the W108 the W109 300SEL 6.3. D-Jetronic Fuel Injection can be difficult to diagnose for those untrained but reliable when properly tuned. Making the M117 engine unique in W108 models was its fueling system. The car used the first electronic fuel injection system by Bosch called D-Jetronic. D stood for Druck (Pressure) as the system primarily used manifold pressure to meter fuel. This system can be wonderfully reliable but as Pierre discusses there are also issues with it, many of which come with people working on it who are unfamiliar with the operation. The other standout innovative feature of the W108 was a consolidation of functions on the turn signal stalk. It was the first vehicle that had turn signal functions, high beam, flash to pass, and windshield wiper activation with high and low speeds all contained on a single stalk. Admittedly, it’s not the coolest of features to brag about but hey, it had it first and the complexity to execute it at the time was significant. As Pierre discusses in his YouTube video a problem with cars that, for a long period of time, had a low value and are now commanding higher prices is that during the low value period often repairs were poorly made, if made at all. Watch his video for more buying advice and subscribe to his channel and Mercedes Magazine. Pierre Hedary is owner of Pierre Hedary and Company in Titusville, FL. 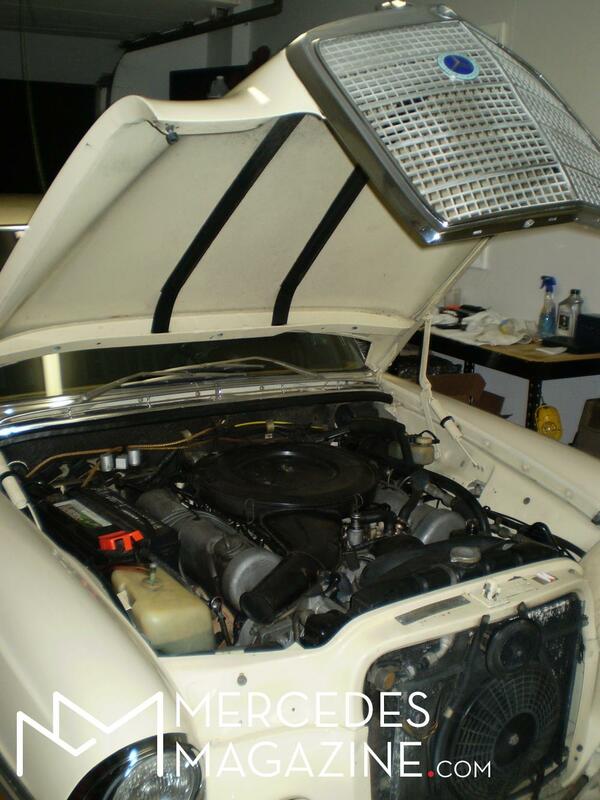 The company specializes in and solely works on classic Mercedes. The company and Pierre feel that “only the best is acceptable”. That motto is reflected in the quality, care, and passion Pierre puts into his work. In addition to sharing his content with Mercedes Magazine he is a contributor to Sports Car Market, The Star, and operates his own YouTube channel The Pierre Hedary Mercedes-Benz Classic Specialist. Images: Copyright Mercedes Magazine. All Rights Reserved.